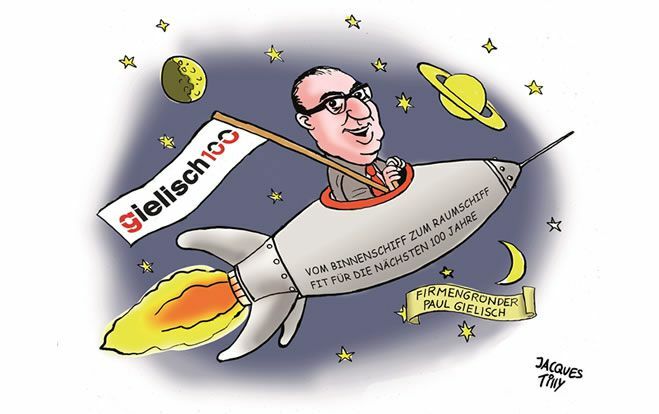 Happy Birthday C. Gielisch GmbH! One of the leading firms of independent surveyors and loss adjusters in Germany celebrates 100 years of activity. Since 1918, the company has supplied market-oriented, customised solutions in the handling of complex claims. Now, in its third generation of family ownership, the company is managed by Claus Gielisch. Above all, its success history is based on an inestimable asset: the huge experience of the experts. Over the past three years, the staff has grown by around 20%. The range of services includes claims adjusting, surveying services and comprehensive claims management, as well as loss prevention consulting and risk management services. The headquarters are based in Düsseldorf and the company operates with 15 offices throughout Germany to ensure immediate access to any loss location anywhere in the country. Outside Germany, C. Gielisch GmbH has branch offices in Poland and Hungary, which also cover the neighbouring markets of the Czech Republic, Romania and Slovakia. Claims in Switzerland are handled by a cooperation partner. C. Gielisch GmbH is partner of vrs Adjusters, the global network of loss adjusting companies specialized in corporate and commercial insurance claims, which operates in 140+ countries with over 300 offices and 2,500 staff.